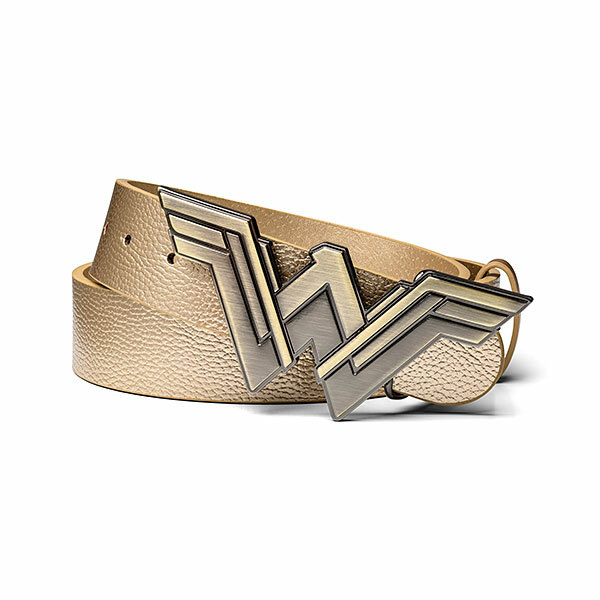 Show your powerful Amazonian side with a Wonder Woman Gold Faux Leather Belt! Its large buckle makes a statement when paired with your Lasso of Truth and Bracelets of Submission. Whether you’re a Wonder Woman comic fan from way back, an aficionado of the 1970s Lynda Carter series, or are just learning about the character for the first time, you’ll want to add this belt to your wardrobe. The belt includes a very generously-sized cast metal buckle (5 1/2″ wide x 2 1/2″ tall) at the end of its 1 1/2″ wide polyurethane strap. It shows off the logo for the new Wonder Woman movie, and makes quite a statement when you wear it with your favorite star-spangled costume.